US President Donald Trump is looking into extraditing US-based Turkish cleric Fethullah Gulen in order to get Turkey to lay off Saudi Arabia over the killing of journalist Jamal Khashoggi, US media reported. Last month, Trump’s administration asked federal law enforcement agencies to examine legal ways it could remove Gulen from the country, US officials told NBC News. The Trump administration may use Gulen’s extradition as a bargaining chip to get Turkish President Recep Tayyip Erdogan to ease his country’s pressure on Saudi Arabia, which faces ongoing criticism over Khashoggi’s killing in the Saudi consulate in Istanbul in early October. Gulen’s extradition has been a longstanding sticking point between Washington and Ankara, with Turkey repeatedly demanding that its US ally send the cleric back to face trial for alleged crimes. 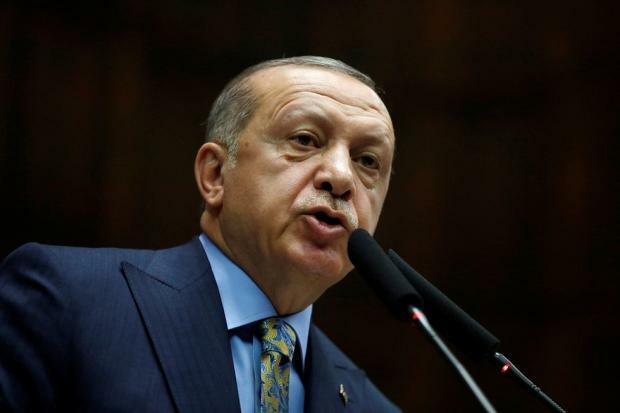 Erdogan blames Gulen, a former political ally who lives in self-imposed exile in the US state of Pennsylvania, for a 2016 coup attempt in Turkey. Gulen has repeatedly denied being involved in the coup. The Trump administration’s requests were greeted with incredulity and anger by officials, NBC News reported. “At first there were eye rolls, but once they realised it was a serious request, the career guys were furious,” said an official. The White House requested that the Justice Department and the FBI reopen Turkey’s extradition request for Gulen and asked US Homeland Security to examine his legal status in the country, among other requests. The Trump administration specifically requested information about Gulen’s residency status in the US, where he has lived since the 1990s, NBC News reported. The Alliance for Shared Values, a New York-based nonprofit connected to the Gulen movement, said in a statement Thursday that it was alarmed by the reports. Although Turkey has reportedly provided large quantities of material to the Justice Department and FBI as part of its requests for Gulen’s extradition, US officials have said it does not meet the standard required to initiate an extradition. A Turkish official told NBC News that the government does not link its concerns about the Khashoggi murder with Gulen’s extradition case. Turkish officials have progressively leaked details about Khashoggi’s murder on 2 October to the media, and last month, Erdogan himself said the killing was ordered at the “highest levels” of the Saudi government. The Turkish leaks have kept Khashoggi’s case in international news, and kept pressure on the US to demand accountability from its allies in Riyadh, most notably Saudi Arabia’s powerful crown prince, Mohammed bin Salman. On Thursday, the US imposed sanctions on 17 Saudi citizens it said were involved in Khashoggi’s murder. The Saudi insider-turned-critic and prominent Washington Post columnist was killed on 2 October when he entered his country’s Istanbul consulate to retrieve paperwork. While several top aides to bin Salman, commonly referred to as MBS, were on the list of sanctioned individuals, Trump’s national security adviser John Bolton has said he doesn’t believe MBS was involved. The Saudis have also strongly denied that the crown prince had any knowledge of what happened. That’s been panned by journalists, human rights groups and critics of the Saudi government, however, who say it’s impossible that bin Salman was not involved in Khashoggi’s murder. Turkey and the US are bound by an extradition treaty, and the two countries must satisfy a series of legal procedures and meet evidential standards before any official extradition request is granted. To be grounds for extradition, the offences must be crimes in both countries – a standard known as “double criminality” – and be punishable by at least one year in prison. A clause in the 1979 treaty stipulates, however, that extradition will not be granted for an offence if it is of “a political character”, or where extradition seeks to prosecute or punish a person “on account of his political opinions”. Gulen has accused Erdogan of going to “any length necessary to solidify his power and persecute his critics” and previously urged the US to reject any extradition request. Amnesty International has also warned that Gulenists are at risk of mistreatment, including torture, if extradited to Turkey. Erdogan has also threatened to restore the death penalty in the wake of the failed coup. Gulen was previously an ally of Erdogan and his ruling Justice and Development Party (AKP). Figures linked to Gulen’s Hizmet movement had infiltrated many arms of the Turkish state and helped the AKP neutralise the political power of the military through arrests and prosecutions. In 2013, however, the two leaders fell out after Gulenists opened corruption cases against members of Erdogan’s inner circle. Since the failed coup in 2016, almost 130,000 public sector workers have been fired by decree during a post-coup state of emergency because of their alleged links to the plotters, as well as other “terrorist” organisations. About 77,000 people have also been jailed pending trial. Turkish Foreign Minister Mevlut Cavusoglu said on Wednesday that his ministry had dismissed 23 percent of its career personnel over links to Gulen.